ACCAN co-founder and "Living Downwind" contributor Thaddeus Popovich speaks at a meeting with the Allegheny County Health Department. Photo by Annie O'Neil. 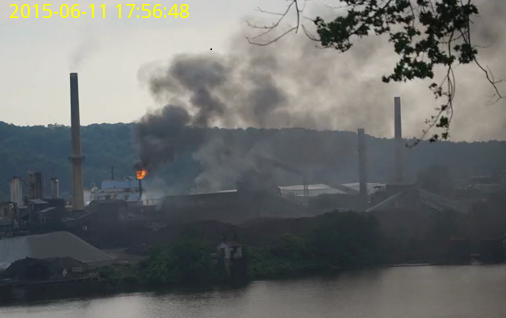 In 2015, communities near Neville Island rejoiced when it was announced that the Shenango Coke Works, a plant blamed for pumping out noxious pollution, would shut down. In the months since it officially closed, organizations like Group Against Smog and Pollution (GASP) have reported a markedly improved situation for residents who once complained of terrible rotten egg smells and breathing problems as well as asthma symptoms in their children. Members of Allegheny County Clean Air Now (ACCAN), the neighborhood group credited for taking down Shenango, don’t want people to forget how bad it was before the plant’s owner, the Detroit-based company DTE Energy, decided to throw in the towel. So they decided to publish Living Downwind, a book about life before and after the closing. Compiled by ACCAN members and funded by a grant from The Heinz Endowments, Living Downwind contains 21 stories as told by the residents and families who lived near the plant. 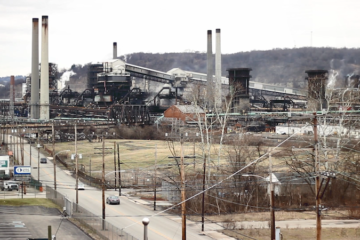 Their tales recount struggles with Shenango, an industrial coke producer considered one of the largest sources of air pollution in Allegheny County with a long history of county health violations. “There were so many violations and we couldn’t believe that the [Allegheny County Health Department] wasn’t doing more,” says ACCAN co-founder and Living Downwind contributor Thaddeus Popovich, who lived across the river from Shenango in Ben Avon. 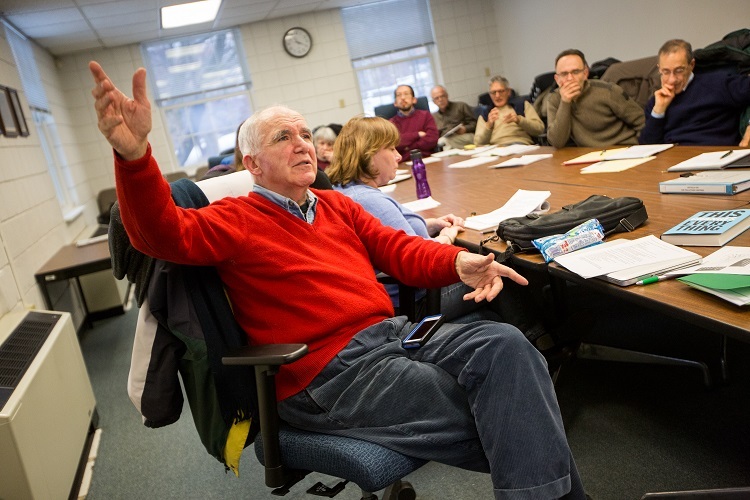 He and other members of ACCAN—formerly known as the Neville Island Good Neighbor Committee—spent years pushing DTE Energy to lower the plant’s emissions. When their complaints fell on deaf ears, they worked with technicians at Carnegie Mellon University’s CREATE Lab to install a camera in one resident’s attic and use it to continuously record the amount of black soot spewed from the plant’s smokestacks. They then used the evidence to pressure the Environmental Protection Agency and the Allegheny County Health Department to take more legal action against the plant. Still from ACCAN and CREATE Lab’s Shenango Channel. Image courtesy of Clean Water Action. While DTE attributed the plant’s closing to a downturn in steel production, Popovich believes the bad press generated by ACCAN had begun to taint the company’s brand. The group also took more creative approaches to getting their message across, such as awarding Shenango with The Closed Window Award, a fake accolade recognizing how the plant’s pollution forced nearby children to play indoors on nice days. 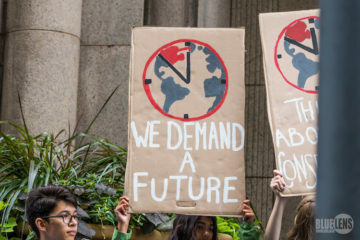 Popovich believes the book could serve as an environmental justice guide showing citizens how to effectively band together and fight against harmful corporate interests. “Here’s a way to push back against the super powerful,” he says, pointing out how it could empower people currently suffering from pollution in places like Cheswick, where a coal-fired plant is still active, or for those in Beaver County worried about the upcoming Shell ethane cracker plant. Clean Water Action program organizer Cassi Steenblok edited the book and believes the stories reflect a chronic problem in the region. The region’s widespread pollution issue was once again confirmed by the American Lung Association’s most recent State of the Air report, which found that Pittsburgh had some of the highest levels of smog and fine particulate pollution in the nation. Popovich believes investing in sustainable energy would bring Pittsburgh closer to achieving its clean air goals. Currently, he and ACCAN are working to convince DTE to open a solar array facility on the former Shenango Coke Works site. The book will help them keep that mission going, as they plan to use some of the proceeds to attend DTE stakeholder meetings. They also plan to give copies to DTE’s chairman, CEO and president, Gerry Anderson, and to members of his staff and board. Hard copies of the book will be available for a suggested donation. A free PDF version is now available to download from ACCAN’s website.